Since the passage of the Patient Protection and Affordable Care Act (ACA) in 2010, tens of millions of US citizens gained heath insurance. The ACA was the largest overhaul of the US healthcare system since Medicare/Medicaid was established in 1966, and one of its most notable changes was the expansion of Medicaid eligibility. Under the ACA, adults who earn ≤138% of the Federal Poverty Level (FPL) could now qualify for Medicaid benefits. In addition, to the expansion of Medicaid eligibility, the ACA also provided incentives for the delivery of primary health care and other comprehensive coverage benefits. 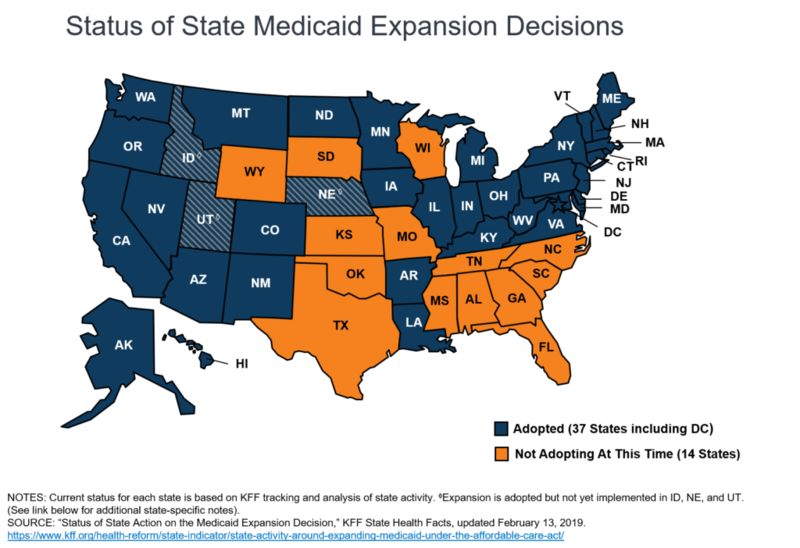 In 2012, however, the Supreme Court ruled that it was not mandatory for states to implement Medicaid expansion. As a result of that ruling, some states chose to expand eligibility, while others did not. As of January 2019, 37 states (including Washington D.C.) have expanded Medicaid, while 14 have not. Visit the Kaiser Family Foundation website for the full interactive map experience. With such significant changes to healthcare, it is important to evaluate these policy changes and study their effects. Researchers at Oregon Health & Science University’s Department of Family Medicine partnered with OCHIN and ADVANCE to conduct such an assessment with the Post Affordable Care Act: Evaluation of Community Health Centers (PACE) study, funded by the Agency for Healthcare Research and Quality (AHRQ). This study was created to evaluate the effect the ACA had on community health centers (CHCs) who mainly serve patients with Medicaid coverage or who are uninsured. This team utilized electronic health record (EHR) data from ADVANCE, one of the largest CHC-focused data networks in the US, to conduct this research. Overall rates of uninsured primary care visits decreased across all included states, with expansion states showing the greatest improvement. This indicated more people in CHCs became insured, especially in states that adopted Medicaid expansion. Community health centers in expansion states saw a rise in preventive, new patient, primary care, and limited-services visits. Patients who were new or returning to Medicaid coverage did not spend more on healthcare services than people who already had Medicaid coverage, debunking a widely circulated myth about the costs of expanding Medicaid. All of these results, and many more, can be found in the study team’s Manual of Procedures (MOP), which documents all of the results and publications that came out of this study in one, easy to access place. In addition to study findings, the MOP provides detailed information about how the team arrived at their conclusions. 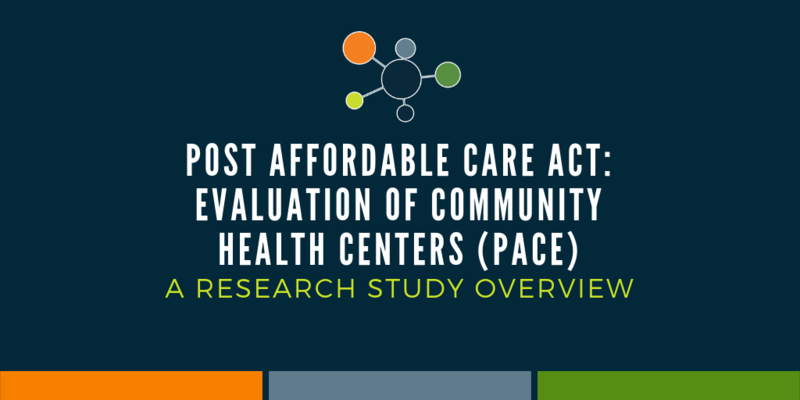 The PACE research team hopes these results will play an important role in informing policy makers of the significance of the ACA and Medicaid expansion for CHCs and their patients.